Fiji based Ghanian boxer, Joseph Kwadjo will fight a Trent Broadhurst in a 8 x 3 under-card bout on July 4 at Suncorp Stadium in Brisbane Australia. Kwadjo, 28, was approached by an Australian promoter while he was on holiday in Australia. 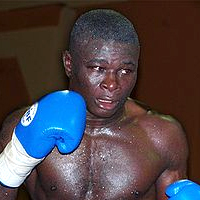 Broadhurst, 24, has registered 10 wins (KO 7) and 1loss while Kwadjo has recorded 21 wins (KO 16) and 5 losses.